We were lucky enough to be given some delicious cup cakes made by Ben's wife Julia. What a tasty treat - thanks for this, we really enjoyed them - now just need to work it off..! Anyone who can remember the riff that goes with with this lyric will most likely be a teen of the 80's - Once you start thinking about it you just cannot stop it going on in your mind! Well, this Beat is for Nottinghamshire Police and Crime Commissioner and its actually an on-line newsletter. We create this for our client Better Times who write and manage the project. 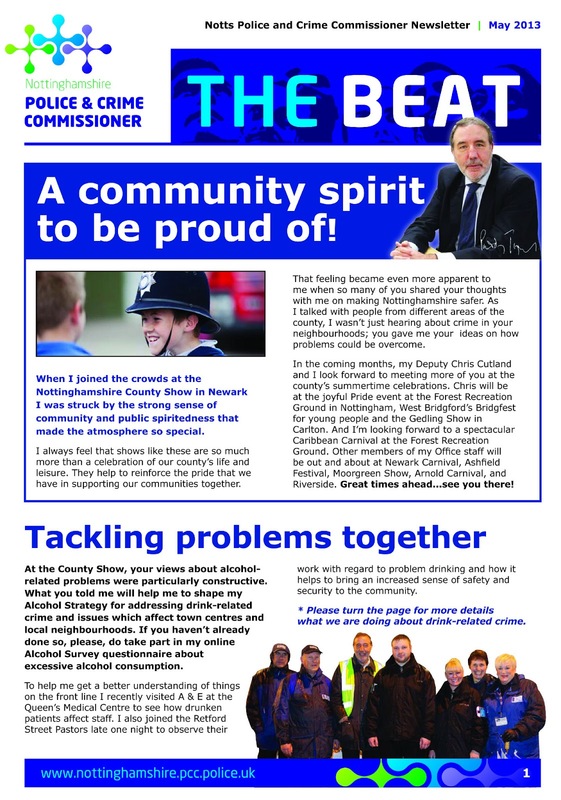 The Beat is designed to provide news and features aimed at Nottinghmashires' wide ranging communities. If your business has something to say, then a newsletter is a great way to say it. Especially if its well designed and easy to read. Let us help you with your news, call us now on 01332 291141 and we can discuss the benefits of regular communication with your clients and prospects. 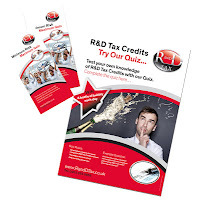 Some of you may know that we have been producing advertising for clients since 1987 - there is more demand now than ever before to make your product or service stand out from the crowd and advertising can be an effective way to achieve this. 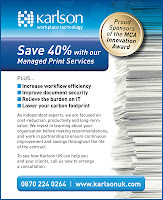 Karlson are one of our favorite clients and they have recently focused their business on managed print services. To help promote this we produced this little advert which published in the Times. It is important to keep 'on message' when writing advertising copy - and even more so when space is limited. 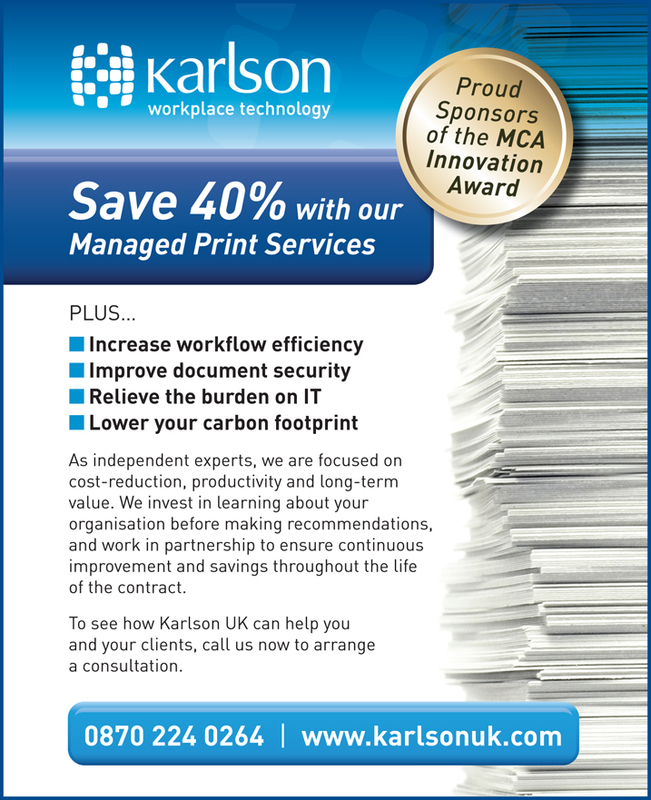 This advert compliments Karlson's sponsorship of the MPS awards and has so far been well received by readers. It may seem odd to some people that we even mention Christmas in the middle of the year, but it is the time to start thinking about your Christmas collateral and marketing! I know, I know, we have not even had a proper Summer yet! But if you have a product, service or venue then you really should be planning 6 months in advance if you want to keep ahead of your competitors. This is exactly what the team at Waterfront have done. They will be taking delivery of their Christmas 2013 brochures in the first week of June! This year we have developed a simple but stylish flyer based on the theme of "the place to be at Christmas". There will be a complimentary website page and posters etc too - so the Waterfront have got Christmas under control! If you have anything you'd like to promote around the Christmas period then don't leave it too late, give us a call now of 01332 291141 and we can have a chat about how we can help you to make the most of the season! Think, Strive, Refine - you know you want to! 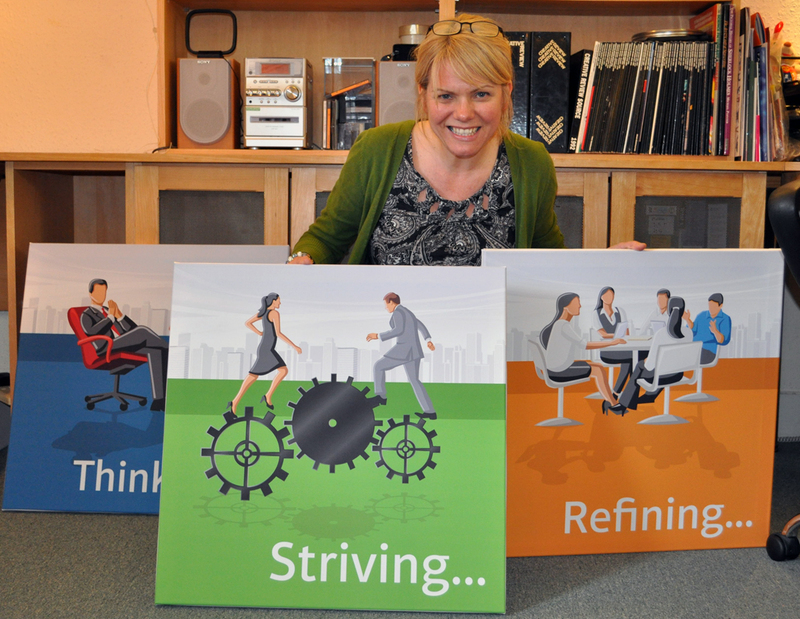 This natty triptych has been designed for Parkhouse Evans' client CPB to use in their new offices. Each full colour print is output onto canvas and has a box frame to make it really stand out. The design reflects CPB's new branding and website (also designed by us) which can be seen here. 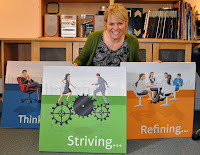 The pictures and messages aim to inspire the CPB team to work even harder for their customers. We think they already work hard! then we can help you. Please call us on 01332 291141 or mail us at studio@parkhouse-evans.co.uk and we can have a no obligation chat.